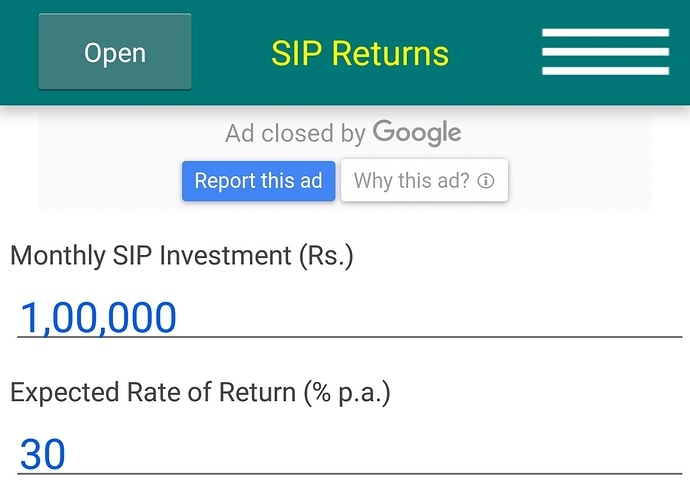 Incase I am investing Rs.1,00,000/- per month for next 40 years and I am getting CAGR of 30%, then what will the value be the future value i.e. value after 40 years? How to calculate this value? Going by the figure provided, you would have invested Rs. 4.80 Crore at the end of 40 years. Accumulated wealth at 30% CAGR on above would come to approx Rs. 16,700 Crore.